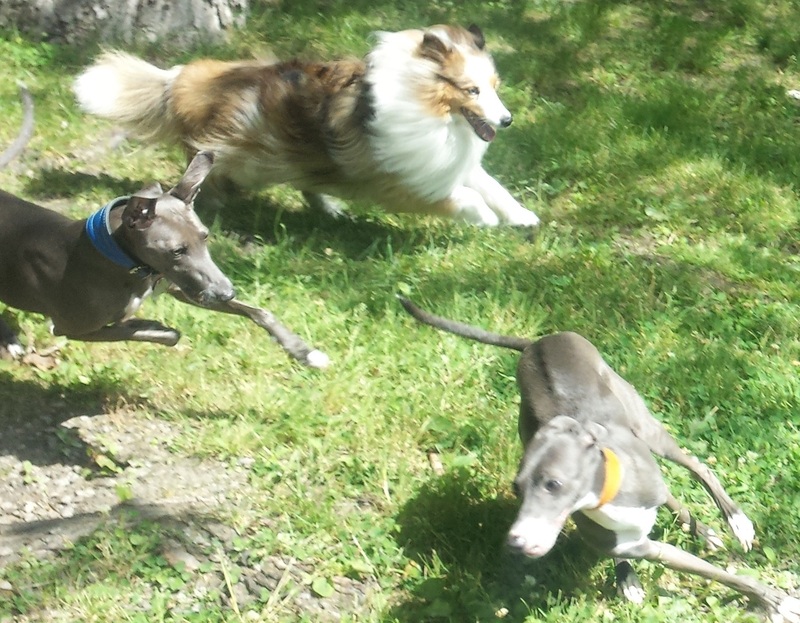 We will evaluate your dog’s abilities and take him out on a regular fun run program tailored for your dog. 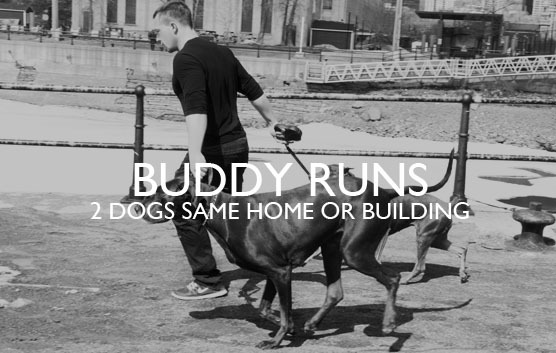 We pick up your dog at your home and run with him to interesting spots nearby your house. Our favourite locations for clients near downtown Montreal are the Lachine Canal and Mont-Royal Park. Our runs allow for quick warm-up, pee break, time to sniff and five minutes of cool down. Running time includes light jogging, moderate to high speed jogging, sprints and as many walking breaks as needed. Our endurance athletes are trained to monitor your dog’s behaviour and will ensure your dog is in good health at all times. After each session, you will receive a log detailing your dog’s activity for the day, kilometres run, notes on bathroom activity and how he’s feeling. We use GPS tracking software to let you know exactly where for how long and how far your dog ran. Call us or fill out the contact form and we will contact you within 24hrs to discuss your needs. Before starting your dog’s training program we will need to arrange a meet and greet at your home. 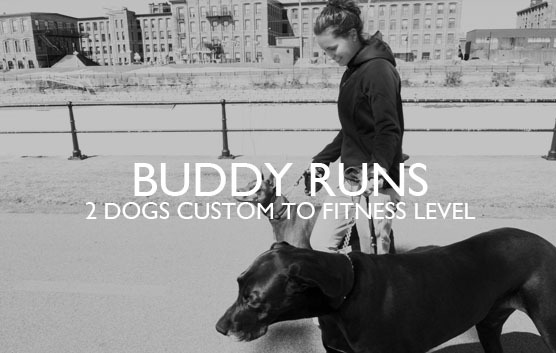 At this meeting we will evaluate your dog’s level of fitness and recommend an appropriate training program. There is no charge for the meet and greet. We will also provide you with a list of references that you can contact and answer any additional questions that you may have about our services and your dog. Click here for frequently asked questions. More upbeat than your typical dog walk, and very competitively priced considering length and intensity. We make sure your dog gets tired, real tired. 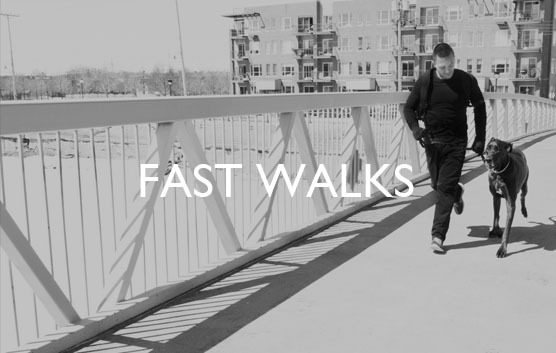 It’s speed walking for your dog. We also purposely look for different kinds of terrain and steep hills to round out your dog’s fitness. It’s the perfect complement for your dog’s running program, or you can rely on Fast Pack Walks as your dog’s sole fitness activity. Performed near your home (we are open to route suggestions). Groups of 3-4. 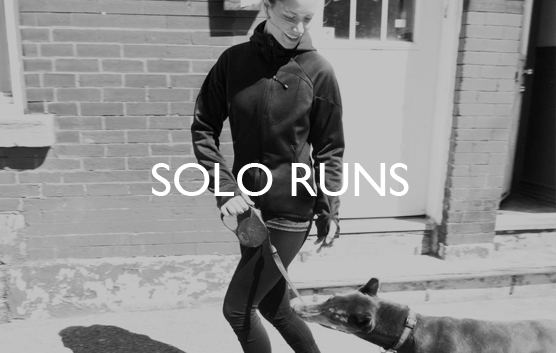 Open to dog running and non dog running clients. *Runs must be purchased as part of a regular running program – generally 2-3 times per week. **All of our services include toweling your dog’s feet and refreshening his water bowl after each session.